It is the first conference in 40 yrs that I have come away from being able to say that I am actually taking away something useful from every single lecture. The hands on workshops were outstanding. Very friendly and approachable - and immensely practical. Overall, outstanding. This is the best value for money course that I have been to in years. Again, especially the hands on. I learned valuable, useful information and skills in a positive conducive environment from effective communicators. The lectures were short and straight to the point. It was easy to identify the objective and grasp the take away points needed to improve my practice. The 20 minute format was awesome. It allowed enough refresh time in between topics and forced the speakers to be concise and keep the audience focused. All the speakers seemed very energetic, articulate, and passionate about their topics. Dr. Mattu's opening introductions and hilarious comments throughout the conference made the mood fun and lighthearted. Biggest immediate impact to my practice was the Crash Airway with Dr Butler and lectures with Drs. Winters, Bontempo, Schenkel, Willis, and Lu. Multiple short talks and ability to ask questions of panel. Great speakers with cutting edge stuff. The speakers were great! Friendly, approaching, engaging, helpful and made me feel great about being a ER Doc. Dr. Mattu is always witty and a class act. Dr. Ken Butler was really helpful in the Airway course. All the ER really made us feel welcome and happy to help in any way. It is why I listen to EMCast each month on EmedHome. 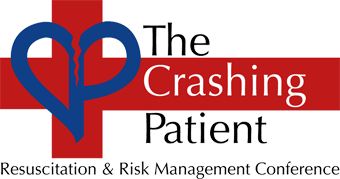 The variety of topics, the quality of the speakers, and the CRASH airway workshop! I like that the same lectures are not repeated year after year like other conferences I have attended. The speakers are approachable and I like the question/answer sessions as well. The format of the short lectures with focus on 3-5 key points of a case presentation or chief complaint is excellent. I also really appreciated the block of time to address questions with a panel of speakers. The time frame of the lectures, the 18 minutes is perfect. The topics are relevant and the information is presented in a to the point manner. The workshops were excellent.